Always a good idea to have happy thoughts on your birthday! This card really made me love the wink of stella clear glitter pen even more!!! I used it for the finishing touches on the wooden hearts – so cute right? A few months ago, I went on a craze a bought a ton of these little license plates. I love how they add just a little something extra. I can’t get enough of these new puffy stickers that have great shapes like arrows, hearts, etc. I think it adds a lot of layers and textures to cards. I also used patterned paper from a halloween paper pad! 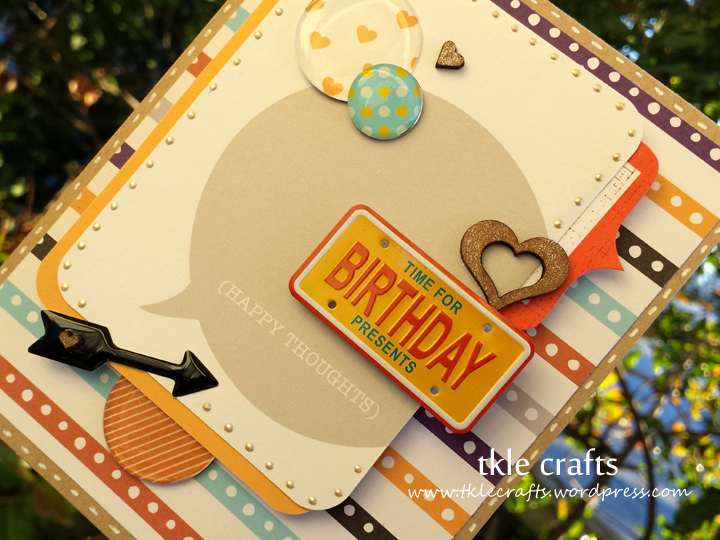 Recipe: Cardstock from Papertrey Ink, Liquid pearls, Project life, epoxy stickers, wink of stella, wooden hearts, and brads. 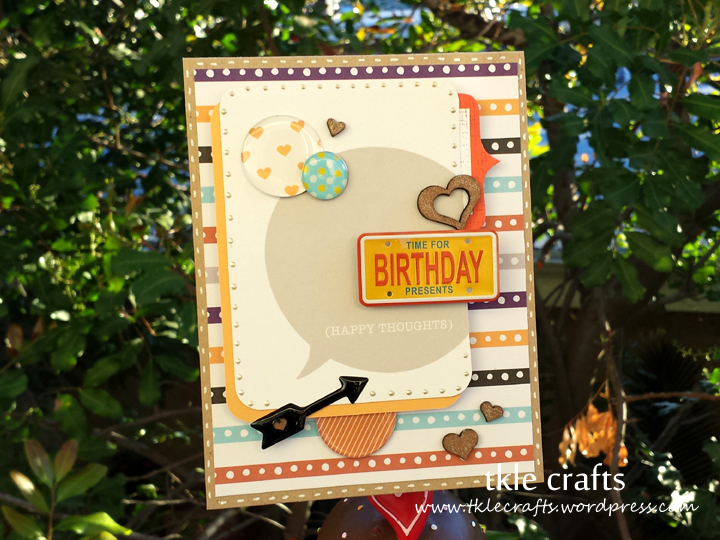 This entry was posted in Happy Birthday Cards and tagged Happy Birthday Card, Project Life, Wink of Stella, Wooden hearts. Bookmark the permalink. ← Thanking my Lucky Stars!